Had a great little back yard chase today with Michael Carlson. My initial target was a my forecast convergence zone east of DIA. By the time we got out, convection was already firing on a boundary further east. Secondary target for the day was the Limon area as the vertical shear would be better. The convergence east of the airport wasn't that great, so we headed to Last Chance and then south to intercept some stronger cells. 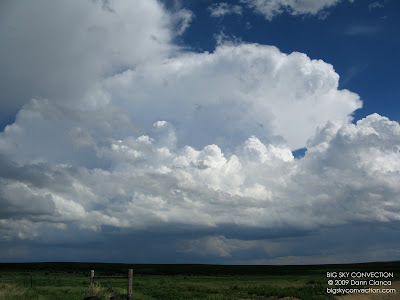 (first photo) We got on one that had been sitting for a while and mineswept the hailcore, finding mostly 1" stones. The rear-flank pushed them out hard, driving them in horizontally to the driver's side (Michael found a couple new dents ... from only 1" hail!) A way down the road, we found some bigger (1.25") that had already fallen. 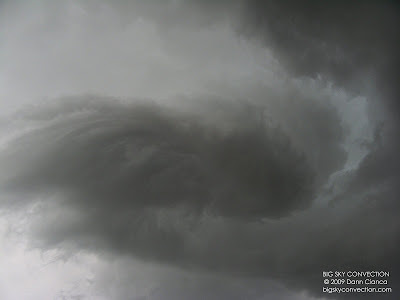 The storm also had a nice, tight circulation in the updraft (second photo). 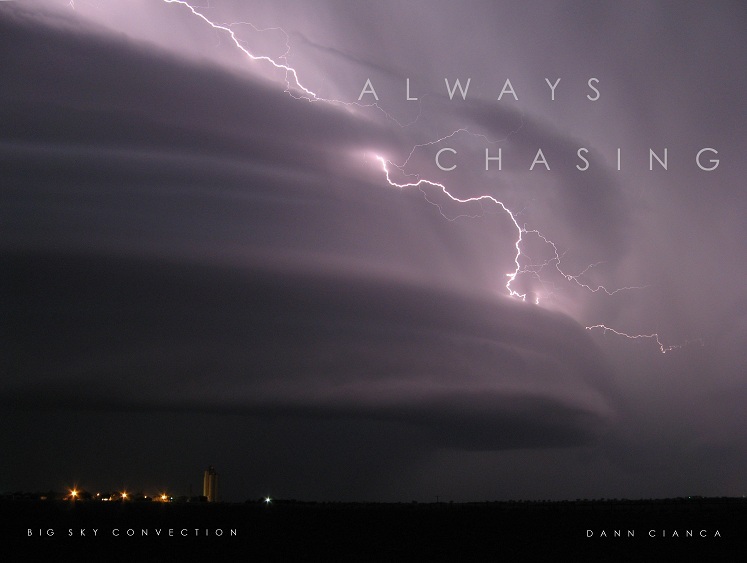 It soon died, though and we tried to intercept others, but the whole area lifted and we lost definitive cells. We pretty much called it a night at that point. Thanks Cam. We were a bit surprised with how rapid the rotation was given the low-shear environment.